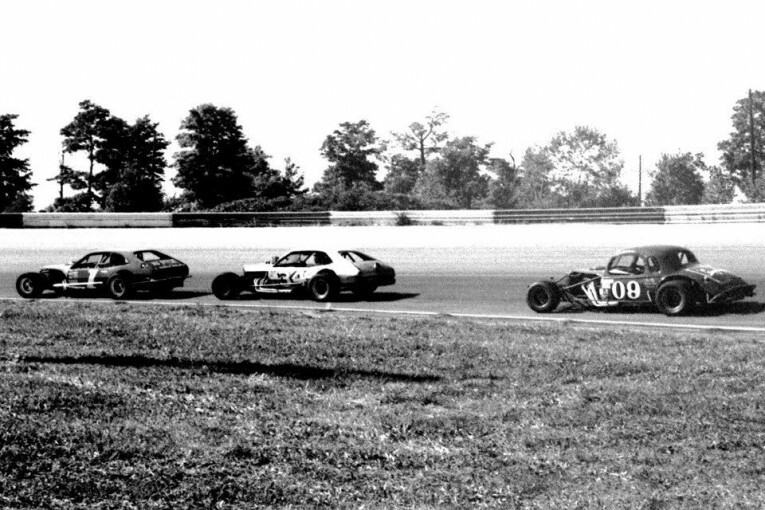 1972 – Stafford Spring Sizzler. 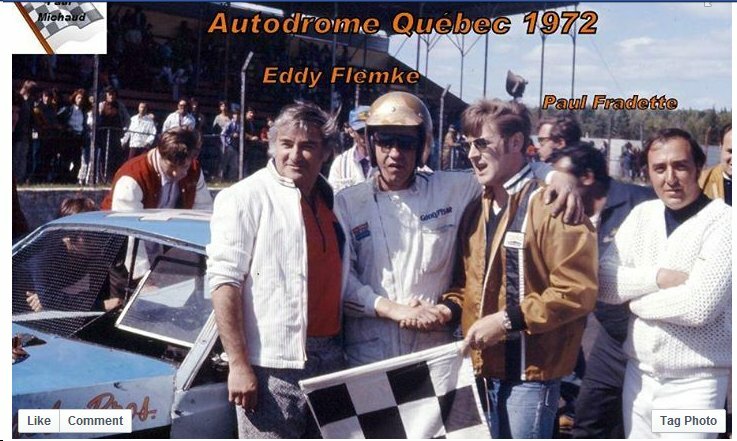 1972-06-11 – Autodrome Val-Belair. 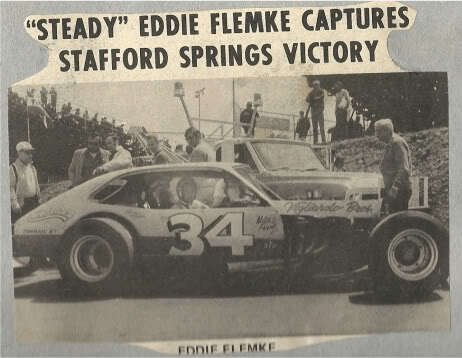 Ed won the 150-lap event. 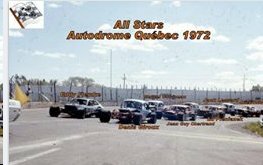 1972 – Autodrome Val-Belair near Quebec City. 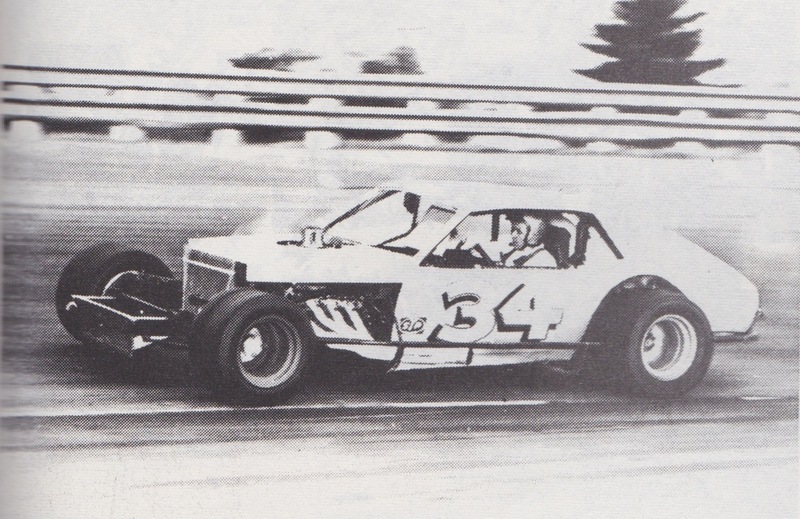 1972 – Islip, George Wagner in the Z1. 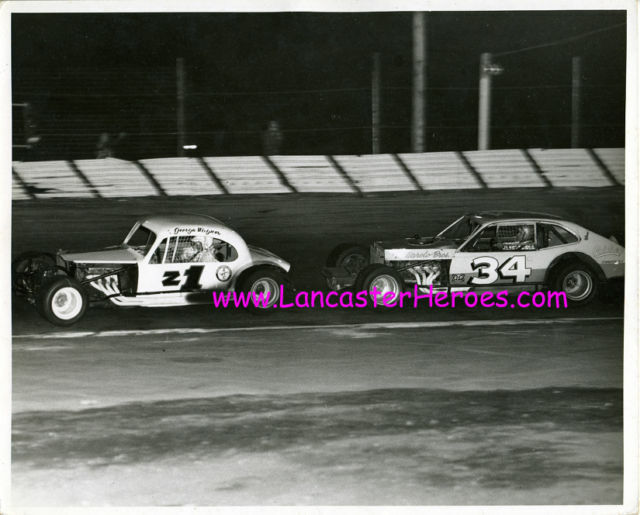 Photo from Lancasterheroes.com. 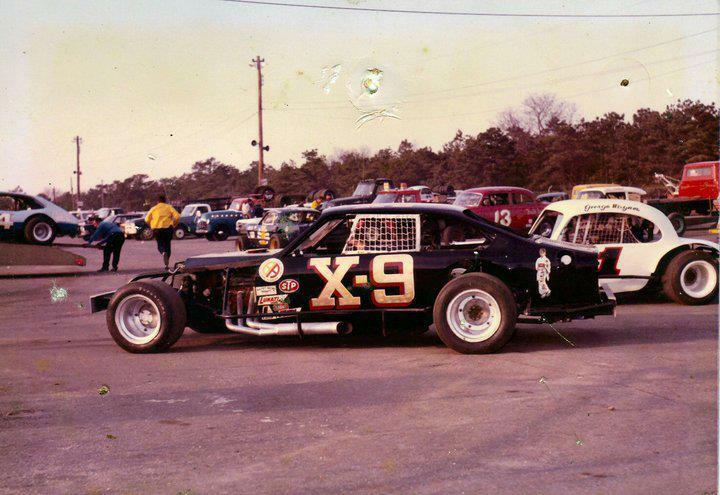 At this time the black X9 was driven by George Tet. 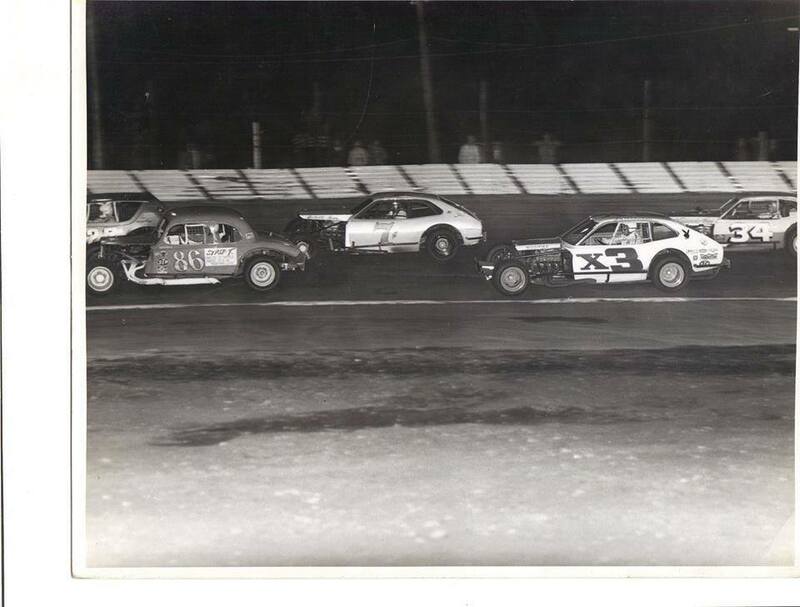 Ed’s 34 is on its hauler at the far left. 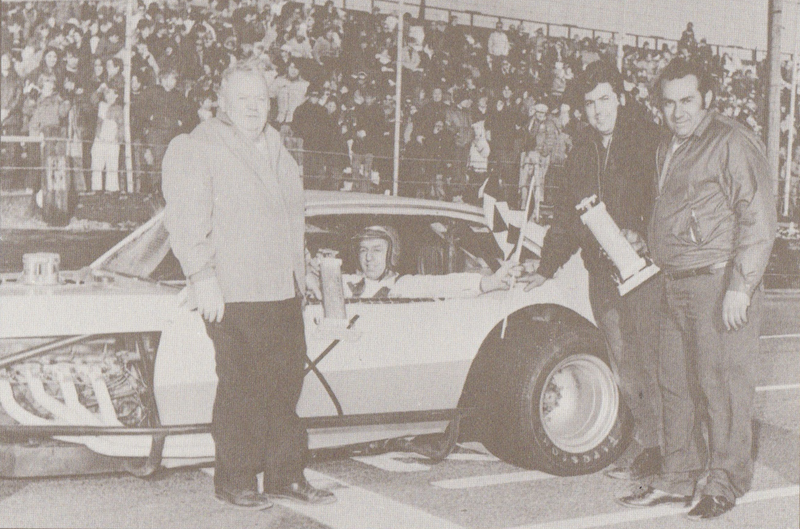 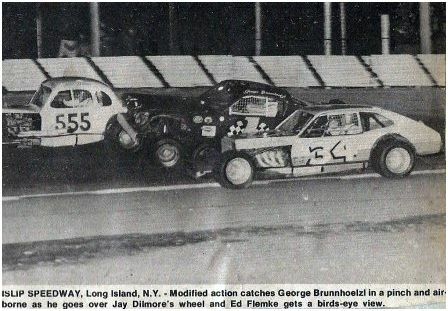 1972 – Islip All-Star race. Photo by Ed Appoldt. 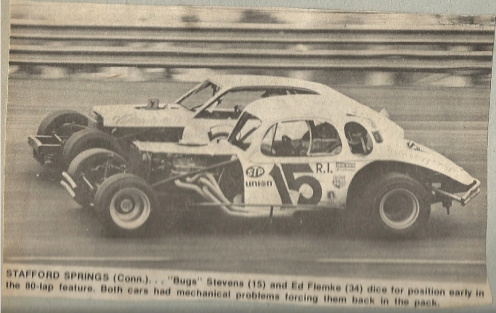 1972-04-08 – New London-Waterford. 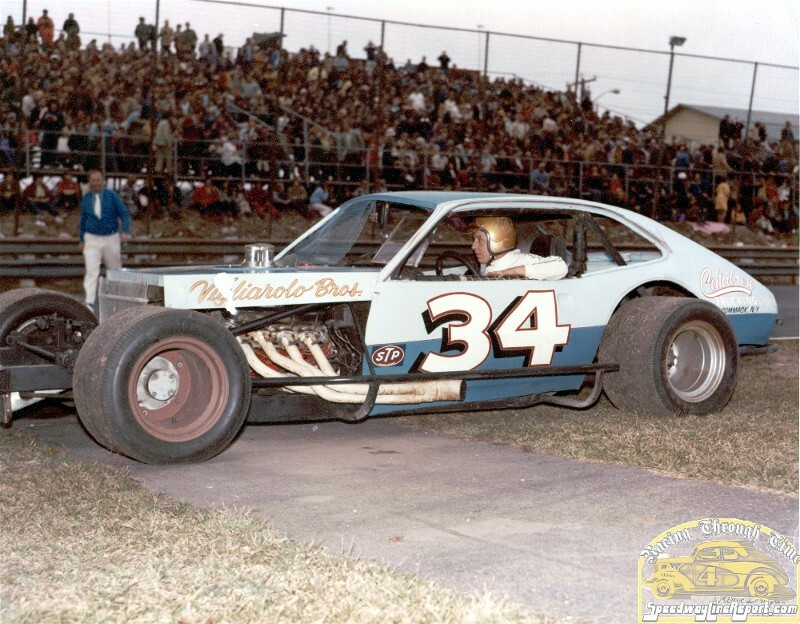 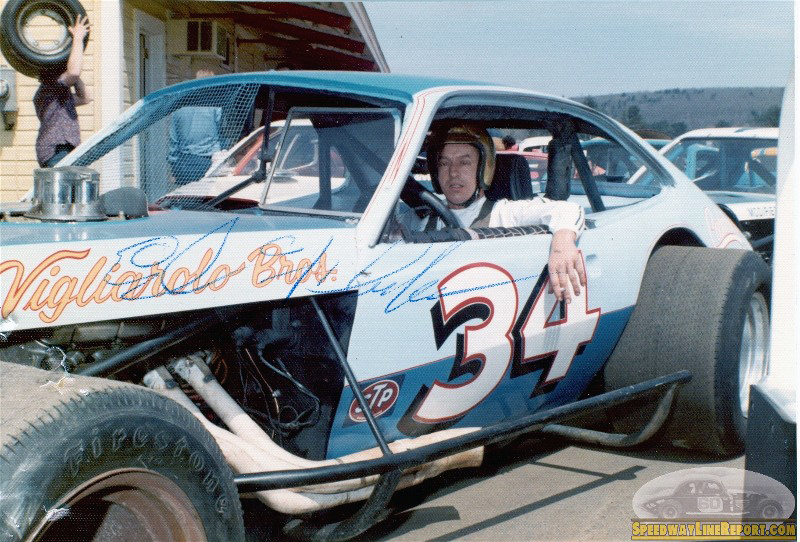 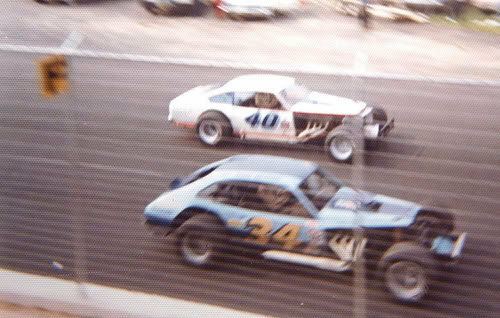 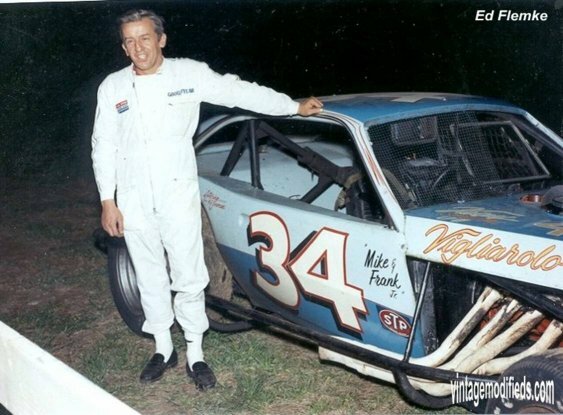 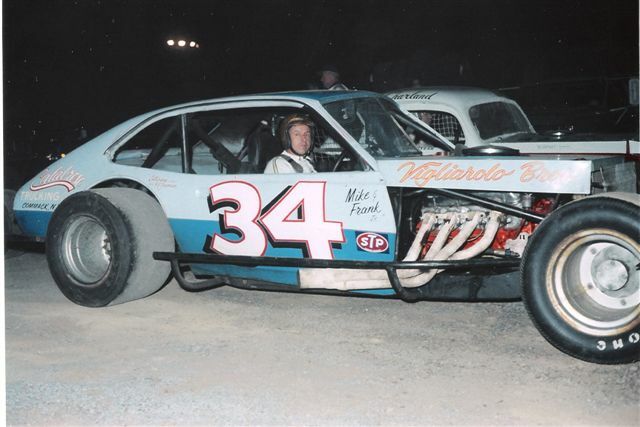 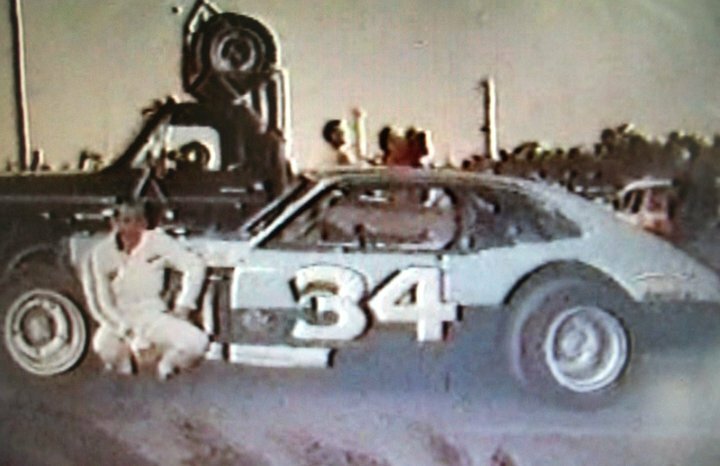 This is the first 2x Pinto, shortly after Frank Vigliarolo had purchased it from Bob Judkins but before it was renumbered as 34. Frank is standing on the far right, Sal Accardi Sr is second from the right. 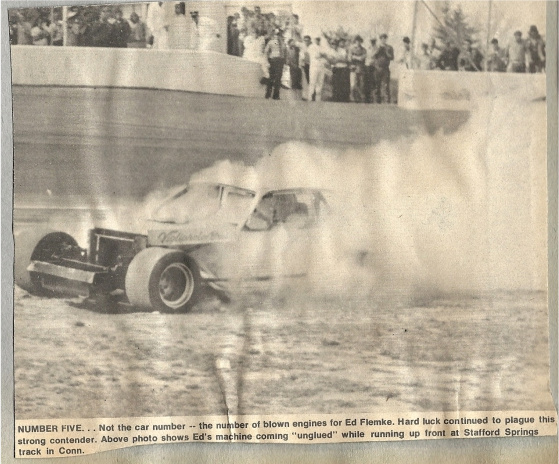 This photo was taken after Ed had won a 50-lap open-comp event at Waterford. 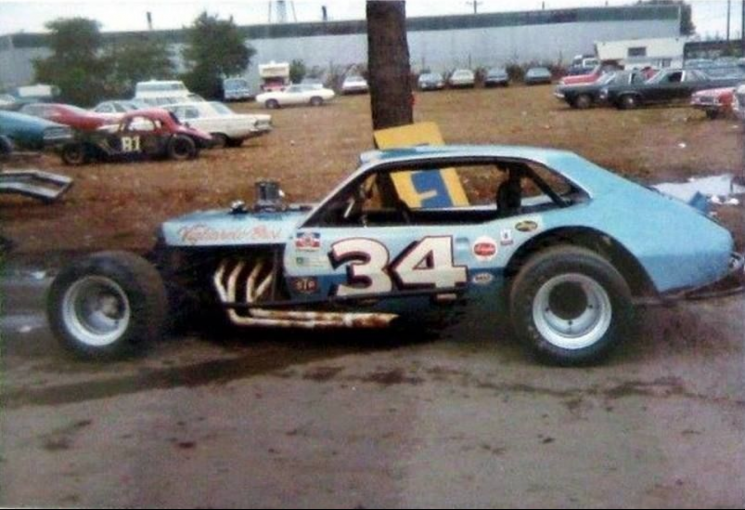 Photo by Shany Lorenzet. 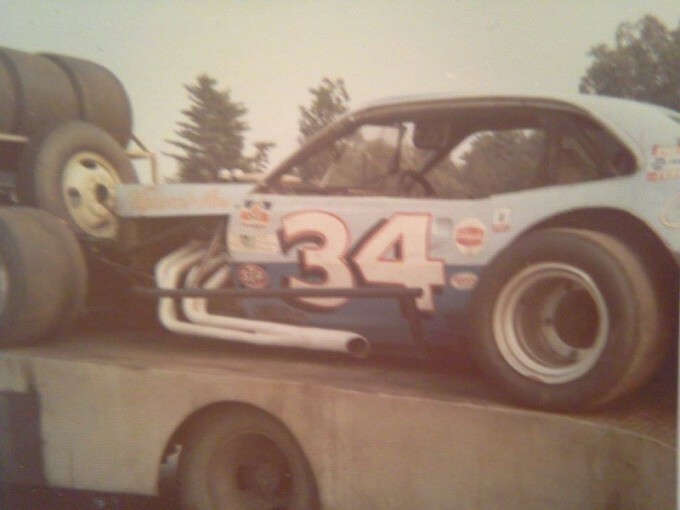 Thanks to Tom DiMaggio, Carl Miller, Sal Accardi Jr and Ed Flemke Jr for the information. 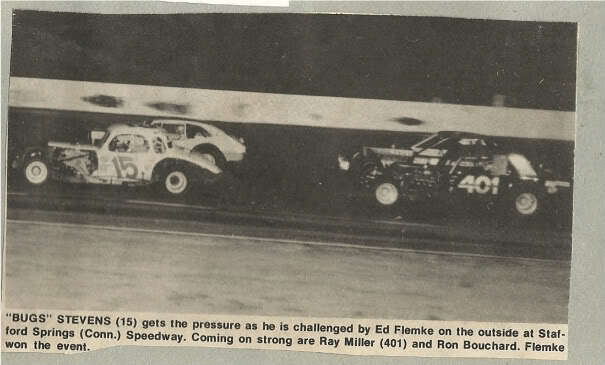 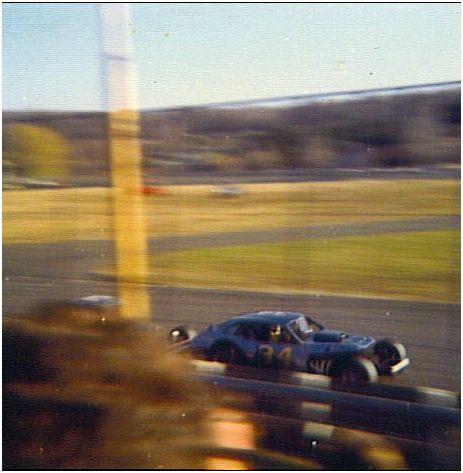 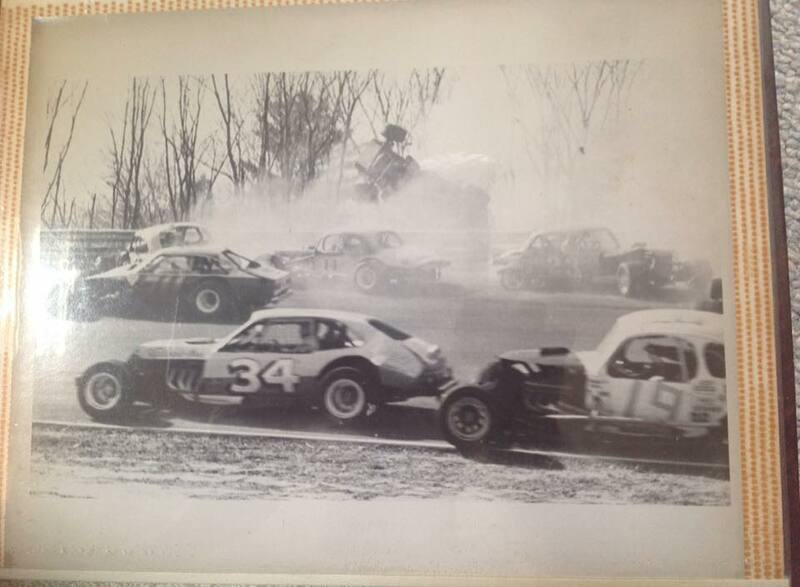 Although barely visible in this image, here Ed is heading towards the front in the 1972 Stafford Spring Sizzler. 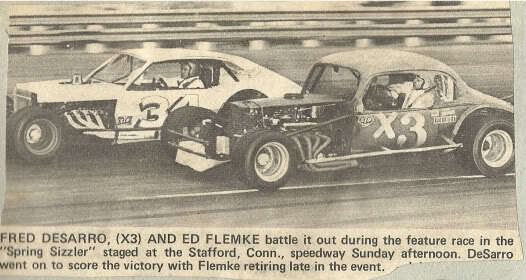 He led the race comfortably until, with 8 laps to go, the car’s water pump failed and he had to retire. 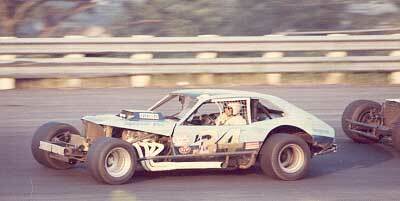 1972 – Thompson. 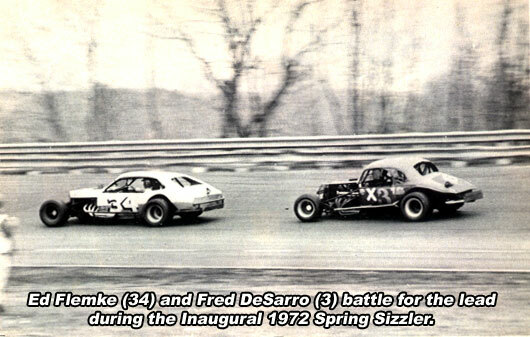 That is Fred DeSarro in the Boehler #3 taking an off-track diversion.